We’ve a joint report by researchers from the Egyptian MOH and our own CDC on Egypt’s unprecedented surge in human H5N1 cases which began in November of last year and continued well into the spring. Previously, Egypt had never reported more than 39 cases during a single calendar year (2009 & 2011), yet over a recent five-month period they reported 165 cases, and 51 deaths. This dispatch is the first real look we’ve had at Egypt’s outbreak since it began late last year, and it finds (as expected) that exposure to poultry figured in nearly all of the cases. While six small clusters were identified during last winter-spring (2-3 cases in each), there has been no sign of increased human-to-human transmission of the virus. Earlier this year, in Eurosurveillance: Emergence Of A Novel Cluster of H5N1 Clade 2.2.1.2, we looked a rapidly spreading strain of H5N1 that emerged in early 2014. While the timing is suspicious, how (or even if) this evolutionary change has impacted this outbreak hasn’t been established. This summer, case reports of H5N1 in Egypt have – as they do most years – dried up. Avian flu (in poultry, and in humans) is largely seasonal in the Middle East, with only sporadic outbreaks reported during the summer. We are, however, approaching the fall flu season, and so all eyes will be on Egypt this winter to see if we get a repeat of last year’s outbreak. This from the EID Journal: Follow the link to read it in its entirety. During November 2014–April 2015, a total of 165 case-patients with influenza virus A(H5N1) infection, including 6 clusters and 51 deaths, were identified in Egypt. Among infected persons, 99% reported poultry exposure: 19% to ill poultry and 35% to dead poultry. Only 1 person reported wearing personal protective equipment while working with poultry. Highly pathogenic avian influenza virus A(H5N1) has been detected among poultry in >60 countries, with sporadic transmission to humans that results in a large number of deaths (1). Of 842 persons with H5N1 virus infection reported as of June 23, 2015, worldwide, 447 (53%) died (2,3). During November 2014–February 2015, the Egyptian Ministry of Health (MoH) surveillance systems identified an unprecedented number of persons with severe respiratory illness caused by infection with H5N1 virus. These illnesses occurred during months when seasonal influenza is typically epidemic in Egypt (4). In response, the MoH initiated an investigation into potential causes of the increased number of cases. Our analyses suggest that H5N1 infections have recurred annually in Egypt during November–April. 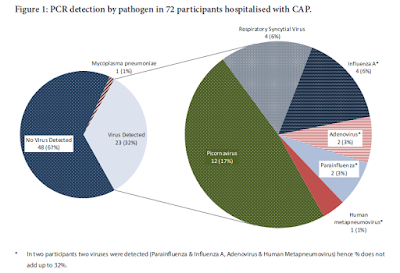 Although MoH identified an unprecedented number of H5N1 case-patients during 2014–15, the proportion of persons testing positive was similar to proportions of previous epidemic seasons. During 2006–2015, the Ministry of Agriculture identified 3,273 outbreaks among poultry, primarily during Egypt’s November–April winter months (1). One study found that ≈2% of Egyptians exposed to poultry were seropositive for H5N1 virus (5). The large number of H5N1 case-patients identified during 2014–15 could result in part from increased respiratory sampling in communities with poultry outbreaks, rather than from marked changes in the virus’s transmission characteristics. The H5N1 case-patients during the 2014–15 season had similar characteristics to those of previous seasons (6). Nearly all had recent exposure to domestic poultry (7). Active surveillance from 2010–2012 suggests that 8% of healthy-appearing poultry in Egypt were infected with H5N1 clade 2.2.1 (8), yet only 1 case-patient in 2014–15 reported using personal protective equipment. Human H5N1 infections have been shown to occur during poultry outbreaks, overlapping with October–December influenza epidemics (4). Egypt currently recommends seasonal influenza vaccination among health care workers, pregnant women, persons with chronic diseases, and Hajj and Umrah travelers. Countries where seasonal influenza overlaps with H5N1 circulation in poultry might explore the feasibility of vaccinating persons at high risk for influenza co-infections and complications (9). After identification of case-patients in Egypt, officials investigated contacts. This strategy perhaps enriched the number of H5N1 case-patients identified during peak epidemic months, compared with randomly selecting persons meeting case definitions for respiratory illnesses. Although we did not find increased rates of persons testing positive for H5N1, all H5N1 case-patients are unlikely to have the same probability of being identified (i.e., contacts vs. randomly selected persons). Egypt continues to have substantial H5N1 circulation among poultry. Although the characteristics of case-patients during 2014–15 were similar to those of previous seasons and do not suggest increased efficiency of H5N1 transmission between humans, MOH would be warranted in examining H5N1 virus circulating in Egypt for genomic markers of mammalian adaptation (10), which have been identified since 2010 (11), and in using a cross-sectoral approach to evaluate interventions to prevent H5N1 infections. Dr. Refaey is the Director of Epidemiology and Disease Surveillance and Field Epidemiology Training Program at the Egyptian Ministry of Health, where he leads influenza surveillance, outbreak response, and prevention and control.